EaseMyTrip Booking Period Starts from 09th January, 2018 to 11th January, 2018, where one can avail discount upto Rs.20,000 on flight tickets and Guaranteed discount upto Rs.5,000 on your hotel booking , This is possible with Easemytrip.com‘s biggest travel sale of 2018. One can get an instant 10% discount on their bus tickets too. 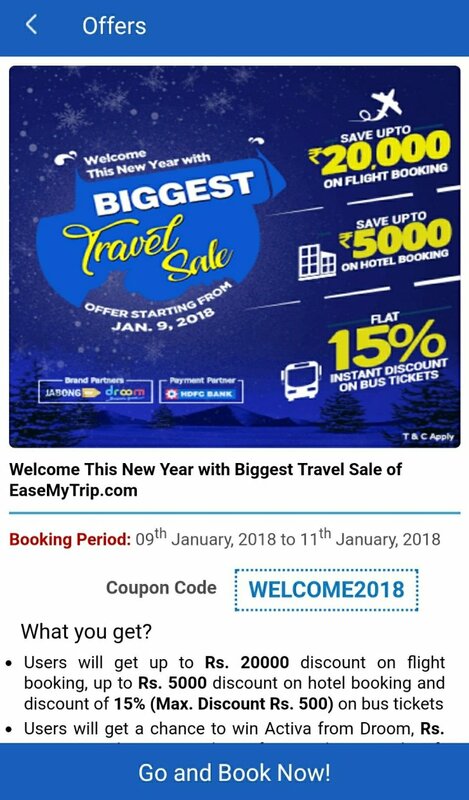 Just need to use the code “WELCOME2018” to experience the whole new means of unexplored travel destinations. 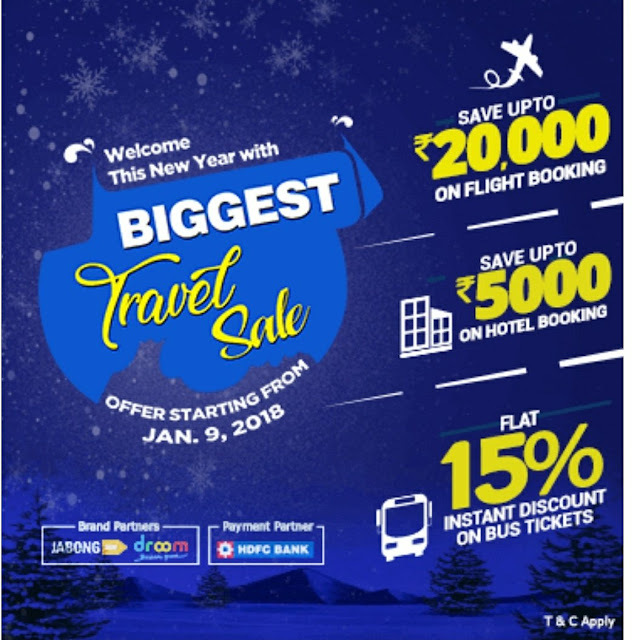 Avail this offer on EaseMyTrip’s app available on android and iOS or on their website . The offer is only valid for bookings made from 09th January to 11th January, 2018. For cheap flights check out the app.